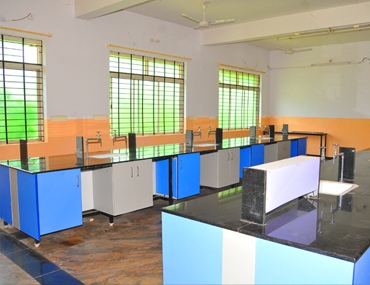 D. PHARM(Diploma in Pharmacy) is a two-year undergraduate diploma course which is recognized by Pharmacy Council of India, New Delhi. Candidates having passed 10+2 exam with PCM or PCB are eligible. 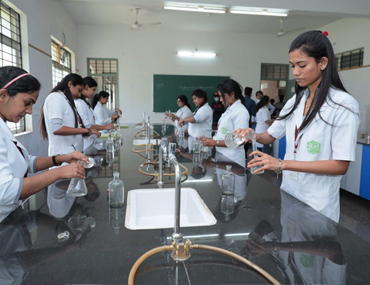 The B. Pharmacy Course offered by this college is recognized by Pharmacy Council of India, approved by All India Council for Technical Education, New Delhi and affiliated to RGUHS, Bengaluru, Karnataka. 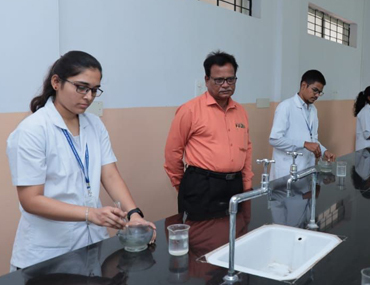 PHARM D. (Doctor of Pharmacy) is a six year course after 10+2 or Diploma in Pharmacy (or 3 years after B. PHARM - called as PHARM D. Post Baccalaureate) includes 5 years of clinical and community-based theory, with ward rounds. 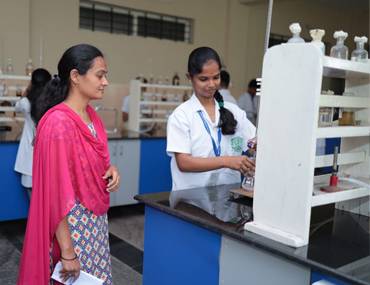 The M. Pharmacy Course offered by this college is recognized by Pharmacy Council of India, approved by All India Council for Technical Education, New Delhi and Government of Karnataka, and affiliated to RGUHS, Karnataka.